← Exactly How Do You Run in the Snow With Tennis Rackets on Your Feet? 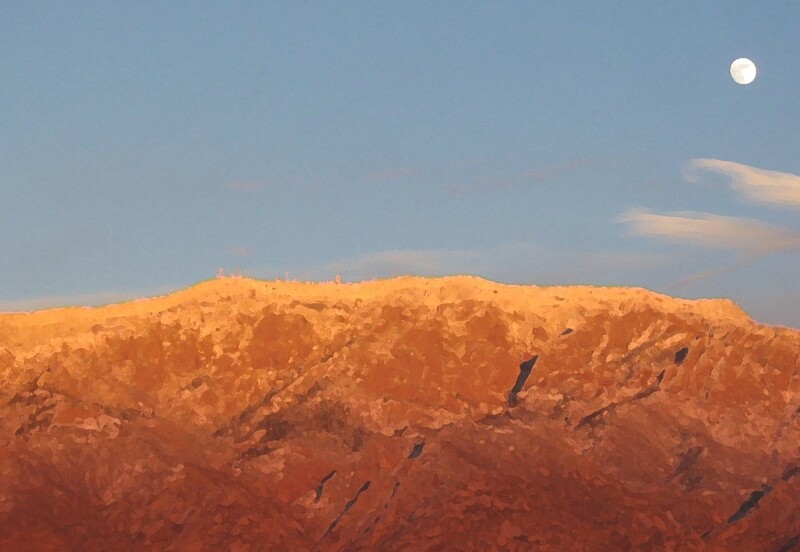 Moonrise over Sandias ©APPCityLife, Inc.
Here’s a great way to get out, enjoy our beautiful bosque and learn a bit about our surroundings this weekend. The Rio Grande Nature Center hosts a Nature Walk each Sunday at 1 PM. Or how about an enchanted moonlit walk on Friday night listening to the hoots of owls and yips of coyotes? Both are free, but call ahead; reservations required. 505-344-7240 or send an email ahead of time to Rio Grande Nature Center State Park (map). This entry was posted in Event Recommendations, Local Business, Outdoor and tagged ABQCityLife, Albuquerque, Albuquerque Little Theater, ALT, antique mall, Antique Specialty Mall, antiques, APPCityLife, City of Albuquerque, Events, Expo New Mexico, Flea Market, Free Event, Live Theater, Moonlight Walk, Nature Walk, New Mexico, RGNC Events, Rio Grande Nature Center, Rio Grande Nature Center State Park, Sherlock Holmes. Bookmark the permalink.